The new record isn't even quite ready yet, but 2013 has already started out great for Skillet. Last week, the Memphis melodic rock band received the news that their 2009 album Awake was certified platinum. With that fact, Skillet joined Mumford and Sons and Black Keys as one of the only three rock bands to go platinum last year. 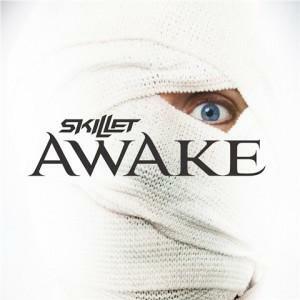 Skillet has been in the studio for months working with producer Howard Benson (My Chemical Romance, Daughtry) who also produced Awake. Noisecreep had the pleasure of speaking with Skillet frontman John Cooper about their recent sales achievement and the direction of their highly anticipated next album. As always, Cooper was affable, self-effacing and thoroughly down-to-earth. A large part of the band's appeal can be found in his earnestness and honest approach to the Skillet's music. John, first tell us how it made you feel to learn about earning that platinum plaque. Well we are in some really good company with that, huh? I kind of wish I was cool enough to say that it doesn't matter at all, that all I care about is my art. But in truth we've got a pay a lot of bills [laughs]. Honestly, awards are nice but not everything to us. We make music we are proud of and we make music that makes the fans happy, that's really what helps us sleep at night. It's an amazing feeling to know that our music is affecting people in a positive way. I know there are songs that do the same thing to me by other people. When I hear U2's 'Where the Streets Have No Name,' it gives me a positive feeling will never go away. So when an album of yours reaches a lot of people all I can say is that it's pretty amazing feeling and we totally appreciate it. What has the creative process been like on this record you're currently working on? Well it's been strenuous. Put it this way, before we started work on the last album, I brought in full demos of 36 songs. This time, we had 72 at the beginning. So there was a lot of cutting down we had to do. Also, I'm not sure we even expected Awake to do as well as it did, but since it did perform so well, now there is this sort of pressure to do it again. But that's okay. I've enjoyed writing from my heart and from my faith and I think the new music is a really honest look at where Skillet is today. How do you even begin to cut down the songs that will make the album from 72? I think it would be terrible if you had to do it all by yourself. But there is little group of us and we do trust each other to make the right decisions. It seems to work like this. Of the 15 songs included on the album, I would say about eight of them, all five of us in the band agreed upon, that these just had to be on the album. From there there would be a song or two that maybe I could live without or somebody else the band couldn't live without. That's where you have to trust each other and believe in each other and be willing to let go once in a while. As far as the specific sound and feel of the album, what can you share? I can say this, this is an album unlike anything we've really done before. We've all been listening to more edgier, indie, alternative bands and it's really affected my writing. The sound is more raw and it has a tougher energy than our previous records. We've also incorporated a lot of new sounds on the record. For instance, there's a dulcimer, there's a harp, some really natural earth sounds to go along with the super aggressive guitars. Overall the sound is more raw and live, perhaps not as slick as some of our earlier stuff. One really important thing is that this is an album that's meant to be played live so once we hit the road you'll be hearing a lot of it. In terms of the road, what are the touring plans for 2013? We will be cranking it back up starting this spring. We're headed overseas, touring America during the summer time and I think were heading back to Russia at the end of the summer. What about video plans for the album? Funny you should ask that. We just had our very first meeting yesterday to decide what was going to be the single. We're almost there, we almost have it figured out. So I would guess that the video will be released with a single sometime later in April. We promise to keep you posted about the status of all of this, we're very excited about all of it and based on all the mixes I've been hearing recently I think this will be our strongest work yet. Pick up Awake on iTunes and Amazon today!